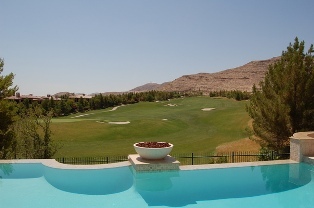 Las Vegas Golf Properties Homes, areas and communities by a local. Golf frontage, Golf communities and land for purchase. Where to look and how to buy or rent is right here. I have completely listed below for you, all of the Las Vegas Golf Properties and where to find homes and lots with either course frontage or in a planned development surrounding a course. Are you In the Market for a Specific LV Golf Home? or vacation home to rent or buy? Get Free agent representation with NEW home builders or Resale homes. Contact me for standing inventory of new homes that will be done in approximately 4 to 6 months or resale homes ready for move in. The Best Deals in GC Living Right Now! If you want a gorgeous golf community home that is priced very affordably, for example only $205,000 starting price for a golf course community resale home. You can find that up to 2400 square feet runs about $349000. This is also country club living with a guard gate, security, recreational facilities such as a resort pool, indoor pool tables, tennis courts, racquetball courts, yoga room, gym (so you no longer need a gym membership) and so much more. 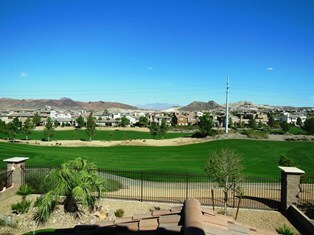 Las Vegas Golf Properties in a Golf Course Community namely Rhodes Ranch. Get a Single family home, approximately 1829 sq ft for $259,900 currently. Contact us for information and FREE representation. This place has Country club style living with community resort pools, Guard gated, gym, jogging trails and parks. Contact us for a FREE email list of Las Vegas golf properties in over 55 communities in all areas of town including Henderson, North Las Vegas and Boulder City. Decide Where You Want Your Las Vegas Golf Property ? Golf Country Club communities can involve some hefty membership fees, visit our locals page Las Vegas Golf Club to learn more about the details of each community and location. Anthem - This community is actually in Henderson City. It has a very green California feel with a lot of communities within the master planned community of Green Valley. Anthem CC has a guard gated community with a clubhouse that hosts a resorts style swimming pool, spa, gym and restaurant. Outside of the gated community are other Anthem communities with convenient shopping and eating nearby. This is an area to be envied. Red Rock - Located in the Southwest of Las Vegas, it is just as the name describes, surrounded by beautiful views of gorgeous red rock mountains. From this area in which you are elevated, you can see down into the valley with amazing views of the Las Vegas strip. This Las Vegas Golf properties community has upscale gated country club style homes as well as non gated housing tracts outside of the gated areas. Lake Las Vegas - Located in Henderson city, Southshore is a private golfing community. Expect to spend a lot of green to be a part of this area that is about 10 miles outside of Las Vegas as you go out on the 215 freeway east toward Henderson. Southern Highlands - Technically this area is Southwest, however, if you are driving in from California or coming in from the airport, it is just a little bit South on the 15 freeway (West of the 15 if you are coming from CA and south on the 15 from the airport). A quaint area all to itself with its own shopping, dining and schools, the closest resort is the M Resort and Casino, but it is only a 10 minute or less drive to the strip. MacDonald Highlands - This community is in Henderson and uses the Desert Willow golf course. A lot of the homes around are 55 and older residence. The Desert Willow golf club has a wonderful restaurant with a view of the course and great prices I have to mention from breakfast to dinner and with a full bar. Spanish Trails - Spanish trail is located in Southwest Las Vegas. This is an oldie but a goodie. New homes are still being built in here custom, and several older homes and estates are sold regularly on the resale market. It really all depends on what area of town you want to be located in. TPC - Central West. This is an infamous Las Vegas Golf properties gated community. There are many rich and famous here including many professional athletes. Pahrump - Mountain Falls Mountain Falls - an entire community full of homes surrounding the golf theme, 7 subdivisions, contact me for an experienced Pahrump agent referral. V at Lake Las Vegas. 6 miles from Lake Mead Drive and the 215, where you will find a majority of Las Vegas Golf Properties. Gated homes with views of the Lakes and Mountains. Contact your Realtor for more information. Currently available units are $199,900 to $695,000 with a garage! Las Vegas International Country Club Townhomes, located at Vegas Valley and Maryland Parkway inside the LVCC. Contact your Realtor for info and access. Priced from $299,000 to $345,000 - oldies but goodies! On the course or in a golf community - Your Realtor can email you a customized home search updated daily with pictures for any of the below communities. This page is designed by a local, course listings are by area, zip code and special features. contact your Realtor for all available vacant land near golf courses. Rhodes Ranch - Southwest, New homes here that are ready soon! Stop fighting over resales and get a home now! Tuscany Near Lake Las Vegas - Hendersonou, New and resale homes ready in 4 months, many homes without offers available now. Get a Custom Golf Property Home Search from your Local Real Estate Professional Your absolute best and easiest route is to email your Agent your specific criteria. (ex: 2400 square feet with 4 bedrooms, one story, golf view lot with a pool, under $500k). A custom search can be prepared for you directly from the Realtor combined multiple listing service. This custom tailored Las Vegas Golf Properties search will send you via email photos, footage, stats of all the Las Vegas Golf Properties that match your criteria as each home comes onto the market. They can also send you immediately, every home that is currently listed. Wow, are you feeling overwhelmed with the availability of Las Vegas Golf Properties? Well, the best idea is to pick the area of town you would like to live in, or visit and concentrate on what type of homes are available in that area. Otherwise you might be searching for years! If you decide to narrow your search, just tell your Realtor that you would like to live in Southwest or Northwest for example or New Or Resale, and let them do All of the Work have them email you the homes and communities in those areas, then you can start choosing which community and which Las Vegas Golf Properties you like best. Las Vegas Golf Course information, Las Vegas Golf Blog, equipment, locations. Customize your own home search Fill out the form and get customized searches and information sent directly to your inbox. Henderson Nevada Just on the outskirts of Las Vegas, but a great place to live. Country Clubs and Courses Looking for a more upscale experience? or a wedding venue? Visit Las Vegas Country Clubs for a complete listing. Las Vegas Senior Living Senior living communities, fun events and things to do, free screenings and health fairs, exercise and classes. 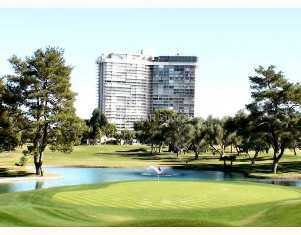 Return to Las Vegas Nevada Real Estate from "Las Vegas Golf Properties".